Sony has been fast to bring the movie from selected theaters to Netflix. With last December’s political commotion around the release, I invested the time to watch the film. Unfortunately, from an artistic perspective I wasted valuable lifetime. The First Amendment of the United States Constitution is a fundamental value, if not the most precious value of our free society. As citizens we have numerous rights, perhaps more than citizens of many other nations. The right not-to-be offended is not one of them. You can’t have both: the right of free speech and the right of not-to-be offended. North Korea is not the United States and they certainly have a fundamentally different view on the idea of free speech. They allegedly have been offended by the movie. They threatened Sony, theaters around the world as well as recently the organizers of the German Berlinale should they show the movie. 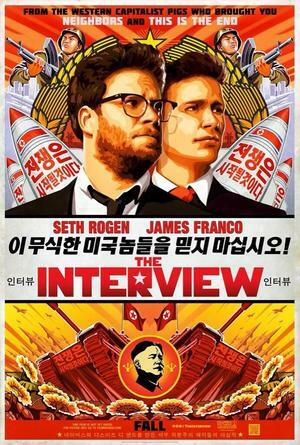 North Korea would have been well advised to first see the movie before judging, let alone threatening anybody. Having seen the movie, to be exact parts of it, I conclude that even if I would agree with a right of not-to-be offended, it is impossible to be offended by this movie. It is so poor, from the script, the dialogues to the imagery that I found it impossible to watch the movie in full length. Taste is unquestionably subjective so I concede that some might find it entertaining. Finding it political, I firmly believe, is near to impossible. Perhaps the issue behind “The Interview” should not be about North Korea being offended but Sony being embarrassed about their work of art. But then again, we enjoy, and will defend, the liberty of free speech.